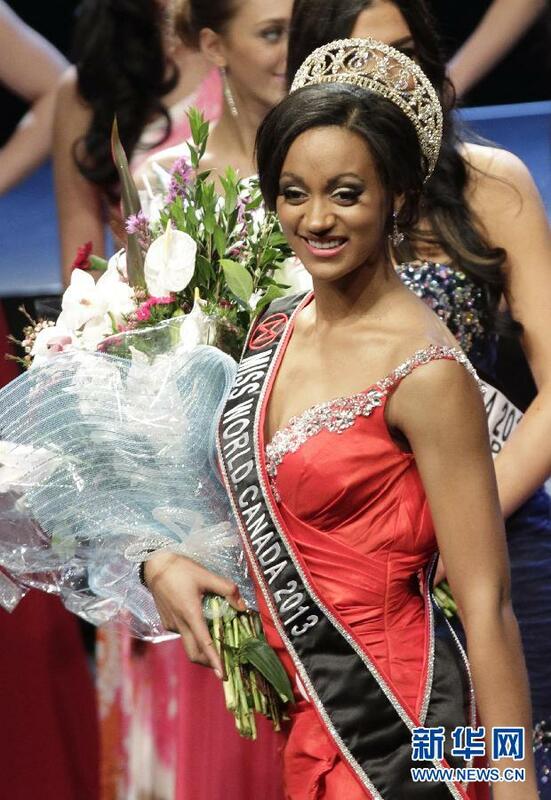 The new Miss World Canada is 22 year old Camille Munro. 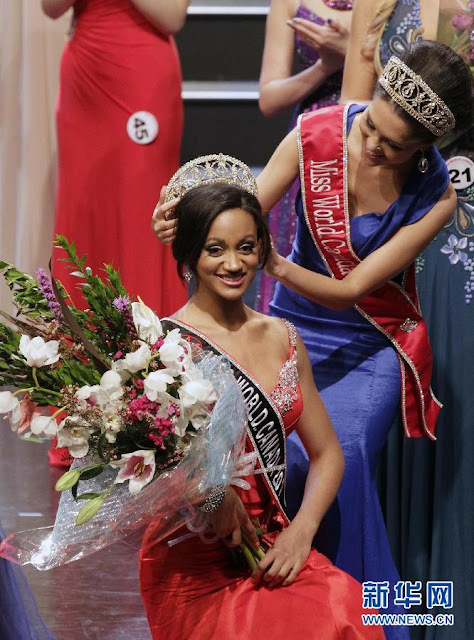 She beat more than 35 other delegates to win her national title and the opportunity to represent Canada at the 2013 Miss World Pageant this September in Indonesia. The first runner-up was hot favorite for the title, Tamara Jemuovic, while Anastasia Lin finished in third place. The top 5 were completed by Katie Zeppierri and Sofiya Chorniy. It's a great shame that the gorgeous first runner-up lost out on the title. She could have definitely been a contender for a top spot at Miss World. All the girls are beautiful, but not everyone can be crowned. Congratulations Camille! You will do an awesome job representing Canada at the Miss World competition in Jakarta! If you actually understood what the pageant was about you would of known that it's "beauty with a purpose" not beauty without brains. Yip! The poster above is correct. Miss World is a "beauty with a purpose", not an "average Joe with a purpose" which is exactly what this winner is. Average joe?? If she was an average joe she clearly would not have won. I'm so sorry to hear your Barbie blonde haired blue eyed rocks for brains typical pageant queen didn't win. Maybe Canada will actually have a chance now that they actually have someone without bleach and that actually cares about human beings. Good Lord child. Get a grip. Who said anything about a blue-eyed Barbie. If you are referring to the runner-up, I have not even seen pix. But since you have turned this into a racial matter, she's not even beautiful for a black woman. Do not judge a book by its cover. She does not have rocks for brains. How are you so sure of that? I met her and had a conversation with her, she definitely has her head screwed on straight. Pageants are all about politics. That is all.